Apart from Lotus Notes NSF Emails to a CSV, the Tool Exports NSF files in more than seven file formats. Open Recent Collection:- Open up the previously created collection. When you select the create new collection it asks you to provide the necessary details regarding the collection such as Title Name, Collection Path & Description. Click on ADD Button to save the collection. Click on Scan file button located at navigation bar. Select the source file as Lotus notes(*.nsf) from the list. Then to browse the file from local choose the modes & click on ADD button. Bulk Mode:-To Browse the folder containing the Multiple NSF files. Find Option:-It allows you to automatic locate the NSF file from storage drives. 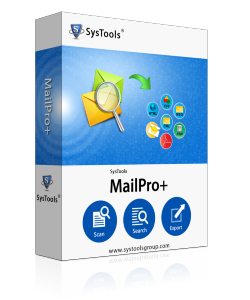 The Tool starts scanning the file with email count. Select the emails which you to convert NSF to Comma Seperated Values. For exporting bulk emails, select the export option from the navigation bar. I switched to a new organization recently. I have brought the database file of my email client containing the details and contacts of some prestigious client. Now I want to export these valuable contact to the format by which I can easily retrieve the details of clients. But I haven’t found any simple technique to perform this task. I want to export nsf file to csv with metadata. Does the tool capable of this? Is there any option to delete the unwanted or duplicate emails using the tool? Can I perform the bulk conversion of nsf emails header to csv? Can I sort nsf email according to date attribute? What are versions of lotus notes supported by the software? According to your requirement, there is the professional tool called NSF to CSV Converter is available to solve your problem quickly with ease. It is one of the best tools to export nsf emails to Comma Seperated Values file format with complete metadata. It provides the functionality to remove the duplicate nsf email conveniently. It have the collection of robust features that have the capability to manipulate the nsf emails to csv in bulk. With the help of nsf file to Comma Seperated Values, you can easily sort or organize your email data according to date, TO, From etc. The tool supports Lotus Notes version 9 and all the below versions also. Do I need to install IBM Notes in my PC to carry out the conversion process? No, Notes are not require to run the converter application. This is a standalone export names.nsf to Comma Seperated Values(csv) software. The enables you automatically detect the NSF files from your PC/ selected Drives in order to perform search, Use Find mode available with the NSF to CSV application. How many NSF files does the converter tool can handle in one go? Can I export contacts from NSF file? Yes, you can separately export contacts from NSF file to a CSV file. The names.nsf to csv tool allows bulk as well as selective exporting of contents. The NSF Files to CSV Converter is one of the best solutions availableonline. The tool is equipped with advance features for converting NSF to CSV as selectively/ bulk. The tool enables users to get CSV file out of NSF within few seconds. Excellent tool! I am extremely happy that this Convert names.nsf to csv application enabled me to export all my contacts from NSF file to CSV format. Theadvanced search option was beneficial for me to sort out certain contacts from the bulk. Brilliant tool! As there is the list of demerits of using the manual method to perform the conversion of nsf emails to csv. With the manual method, there are chances of losing the crucial data. It is more time taken and requires expertise to perform such sophisticated tasks. But with the help of NSF to CSV converter, you can easily achieve your task and goal. It is the store of well-defined feature to conveniently export NSF emails to csv file format. If you want to perform your conversion in most effective and secure manner then you will require the tool like NSF to CSV Converter.